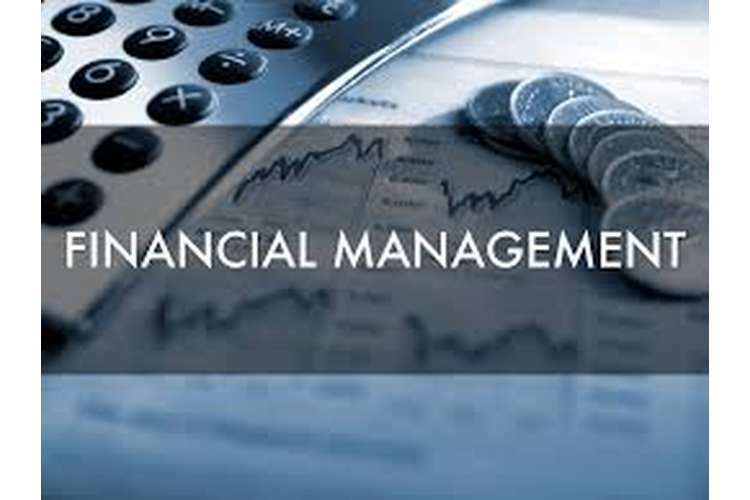 The report of Financial Management is basically based on different concepts and terminologies of stock market, portfolio management and mergers and acquisitions of companies. The factors which affect the return of portfolio will be discussed with the explanation of the differences between selection and allocation of assets in the portfolio. The report will also discuss about the different aspects of mergers and acquisitions like the frequency of mergers and aquisitions, its success, negotiation process or the payment methods. The deal if completes successfully, increases the average market value of the bidder and the target company. Q1.i) what factors determine the expected return of a portfolio? 5. The time frame (Koh & Crawford, 2012). Portfolio management can be referred to the art of taking decisions for integrating different assets and investments, a perfect mix and allocation of the investment resources which can provide maximum return to the investors which can be individuals or institutions, in the particular market scenario. It also involves the management of risk in contrast to the performance of each asset. It is basically done to spread and distribute the risk and obtaining the maximum possible return on the investments done (Koh & Crawford, 2012). Selection and allocation of assets are both different if they are in context of portfolio management. The selection of assets is regarding the planning of the stocks or assets which should be included in the portfolio of an individual or institution. It is the initial step of the portfolio construction in Portfolio management. These assets are basically selected after the analysis of the risk and return of the particular assets in the given market scenario. It is assumed that the investor needs to have maximum return and minimum risk. Whereas Asset allocation is the final step in the portfolio construction where the requirements of the investor is analysed and then the portfolio is finally constructed from the assets which meets the requirements of the investor. Like the one who could bear risk will choose the high risk assets for the portfolio and vice versa. Asset allocation balances the risk and rewards for the investor (Koh & Crawford, 2012). QB1) Compare and contrast the notions of weak-form, semi-strong-form and strong-form market efficiency. Efficient Market Hypothesis (EMH) is a model which describes the working of the markets and it is divided into three different theories of market efficiency which are Weak- form, Semi- strong- form, Strong form, each of them have different meanings and reference. 1. Weak-form EMH suggests that there is no technical analysis done to take market decisions and the current prices of stocks reflect the past prices of the same stocks. So, to make higher profits, the financial statements of the companies can be analysed and studied. 2. Semi-strong-form EMH suggests that the fundamental or technical analysis cannot be used for determining the current prices of the stocks because all the information is already publicized which will restrict the investors from gaining the higher profits. So, the information which is not public can help investors to gain higher profits. 3. Strong-form EMH suggests that all the publicised information and the non publicized one are considered while determining the current prices of stock, so no information can help an investor to gain above average profits and only the normal profits can be gained. It is the model which explains the relationship between the risk on the asset and the expected rate of return on the asset. This is particularly used for stocks. It is used for determining the prices and the rate of return of the securities after considering the costs and risks associated with the same. a)Explain the patterns (effects) in equity returns? The size effect: It has been observed that the small capitalisation firms earn higher returns on an average. The turn of the year effect: It has been observed by Keim (1983) and Reinganum (1983) that the most of the abnormal returns to the firms are generated in the initial two weeks of January i.e. the start of the year as in the end of the year the investors have to realise their taxes. So, the pressure of selling stocks will reduce the prices in the end of year but the prices will rebound in the initial period of the year i.e. January because the investors will repurchase the stocks (Waszczuk, 2013). The weekend effect: It has been observed by French (1980) that the average return of stocks are lower on Mondays than the weekends because some companies releases negative news about them on Fridays when the market closes. The value effect: It means that the stocks are expected to outperform in the market in the longer periods of time which is because the risk is compensated in the long period. The momentum effect: According to this effect, the prices of stocks which were going up in the past will continue to increase in the future and this has been proved in the stock markets of different developed countries (Waszczuk, 2013). b) According to the above study, what effects can be seen in the Australian market? Explain. You are asked to use similar articles for more information. In Australia stock market, there are different effects which can be seen in the returns of stocks. If the size effect is considered, the size matters and this shows the relationship between the size of the company and the return of the shareholders in Australia. The smaller firms provide more returns than the larger firms generally. The size effects can be seen in the Australian markets, it is recognizable in every case normally. It is seen in the Australian stock exchange that the smaller firms have earned more average returns than the firms which are larger in size. The detailed literature is also explained in the Journal of Financial economics (Gharghori, et al., 2009). In Australia, the turn of the year effect is also seen in Australia as the selling pressures are high in the end of the year which reduces the prices of the stocks and the prices again rise in the start of the year in the first month as the stocks are repurchased. It is also seen that in the first few months of the year, the large firms earns positive returns. The weekend effect is also seen in Australia but it is disappearing slightly in the stock markets of Australia from the period 2002 to 2014. It depends on the nature of news about the companies whether it is positive or negative. Different studies shows that the weekend effect is there in the different countries like Australia, United Kingdom, Japan, etc where the negative values are shown on Monday and higher on Fridays as most of the companies release the negative news on weekends which shows its effect when the markets open on Mondays. It is a country specific fact which shows different effect in different effects (Gharghori, et al., 2009). Momentum effect has gained attention of the investors in Australia. It is the strategy which focus on the past results of the stock whether it underperformed or outperformed and the same will be continued to future for the same stocks. It is still seen in both large, mid and small cap stocks. The value effect shows that the stocks gives better returns in the longer periods of time which is clearly shown in the Australian stock markets. QC.1.a. Explain the motives behind mergers and takeovers. Monetary motive: This motive suggests that the mergers and takeovers are done for approaching more financial resources as when two organisations decides to function together, they have better accessibility to the financial resources with the help of which, the companies can function well and they can expand their business operations (Biller, 2016). Planned and strategic motives: these are the motives which suggest that mergers and takeovers are done with the motive of fulfilling the planned strategies of the organisations. One than one organisations can bind their efforts and reach to a better result by using the competitive advantage of all the companies and can bring improvement in the functions of the business. The planned strategies can be executed and the goals and objectives of the organisations can be achieve by combining the efforts together (Cooper, 2015). Administrative motives: Mergers and takeovers are taken up with the motive of enhancing the quality of administration of companies which can lead to growth and success of the firms. QC.1.b. Consider the following two quotations. After takeovers, businesses can be more sufficient, efficient and can deal with the changes in the market in a better way. They can reconstruct their policies and operations in order to utilise the available resources well and in a better manner. It is beneficial for the owners, customers, investors, suppliers and also for the employees in most of the cases. In the case of domestic markets, takeovers make them capable of fighting the competition with the foreign competitors . There is competition in the business world which is to be fought with the increased capabilities. The companies also have to take care of the stakeholders of the business who are involved and affected from the operations of the organisation. For this, there is a need to have corporate control by the organisations so that no harm is done to the stakeholders of the business. Some of the companies involves in hostile takeovers. Hostile takeovers are the takeovers when one company acquires the other company by contacting the shareholders personally and making them agree to replace the management of the company which is to be acquired.The companies who are going through poor management and worse conditions are ready to get acquired by the other companies so as to provide returns to their stakeholders and to maintain profits of the business. These companies take the consent of their shareholders and then move ahead for the final decision. Takeovers provide the opportunities to the companies to function well in the market by combining the efforts of both the companies. The benefits are provided to different stakeholders like employees, investors, shareholders and also to the bidders (Bena & Li, 2014). There are many controversial issues in takeovers. One of them is known as ‘Poison Pills’ where the bidding or target company showcase its negative image or the lower prices of its shares in front of the bidder company so that they can be prevented from being acquired. They actually save themselves from the hostile takeovers by the acquiring company. The other issue is that the management of the public companies focus on the attainment of the short term prices of the company’s shares instead of long term prices which affects the long term objectives and growth of the company. Takeover is required or needed by the company because of restructuring the assets in a better manner which could provide benefits and gains to the stakeholders and to enhance the efficiency of the companies which could make it competitively strong in the market which ultimately helps the company in facing various issues of the business and the markets. Takeovers can bring more potential in the companies which could increase the turnover of the companies and helps the bidding company to overcome its issues . The frequency of the mergers or takeovers is dependent on the connections and networks of the company. The information of the companies is easily transmitted if the connection between the directors is strong. According to the studies done in US, more acquisitions are done of the companies where the directors of the acquiring companies worked once which shows that the connections plays an important role in the frequency of mergers. So, the chances of mergers are more when there is a direct link between the directors (Renneboog & Zhao, 2014). When two companies are merged or one company is acquired by another, the director for both the companies is generally the common one which helps the company to carry on the operations smoothly and effectively. The director of the bidding company is asked to join the bidder company as after the takeover both the companies will be formed into the one single company. It is seen that the takeovers connect companies and the directors of the companies become the common directors for both the companies. The intention of the bidder company is disclosed to the target company and then the target company decides that what is to be done, the offer should be rejected or accepted. The bidder expects the shortest duration for the process to complete as longer the duration, more will be the transaction costs and uncertainty of the decision of merger. If the transaction remains unsuccessful, then the connections and relations between both the companies can be affected. The process should take shortest possible time to increase the success rate of negotiation (Renneboog & Zhao, 2014). Payment method is also the important aspect of mergers and acquisition. Merger or takeover can take place with the payment made in cash, equity or with a combination of both. The mode of payment is selected by the consent of both the companies but the bidder company should go for the payment mode which is cash as when the payment is made in cash, it means that the bidder company is providing voting rights to the target company which takes power from the hands of Bidder Company to target company. The direct connections increase the chances of successful mergers. The remuneration of the directors after the mergers and acquisitions is decided on the basis of the experience and skills of CEO’s, size of the company, performance of the company and on the connections of the bidder company and target company (Schmidt, 2015). To conclude, one can say that the impact of the director’s networks is directly on the decision making of the companies. These connections impact the hiring of the labour, restructuring of the companies and on its performance as well. The bidder company should do complete analysis of the target company in order to make the merger or acquisition successful. If the target company is not good enough or lacks in anything required by the bidder company, then it will be a huge loss for the bidder company if it is observed after the merger and acquisition takes place. The payments should be made in cash so as to avoid the chances of transfer of control into the hands of the shareholders of Bidder Company. It also let the shareholders of the target company to realise the benefits in real cash at significant premium the time involved in the negotiation process should be shortest in order to avoid the chances of failure of negotiation. The success of the merger or acquisition for the bidder company depends on the size of the company. Bigger deals carry bigger risks with them but also possibilities of bigger profits. The benefits can be seen in the long term (Bena & Li, 2014). QC1.b: Do takeovers increase the value of the target, or the Bidder Company, and/or aggregate market value? Takeovers affect the value of the Target Company as well as Bidder Company. When bidder company takeover the target company, it promotes and increases the share value of the target company which provides benefits to the shareholders of the target company. It also increases the share values of the bidder company as after the takeover, the company is going to increase its operations and expand its markets which create a good and positive image in the minds of the people. The brand value of both the target and the bidder companies will enhance due to takeover because takeovers let the companies use the resources together in the best possible manner and make profits and provides benefits for all. The overall and combined efforts of both the companies increase the business and profitability of the companies which increases the overall value of both the companies. The companies become bigger than the rivals and are able to face the competition in the industry, once a merger or acquisition is done successfully. It takes the advantage of economies of scale which helps ultimately in the increases earnings per share (EPS) (Perrault, 2013). The report is based on the financial management which included the discussions about the portfolio management and different types of market efficiency. The models of Capital Asset Pricing and Arbitrage Pricing are also discussed to clear the concepts about the pricing of the assets and about the expected return on these investment assets. Different patterns of equity return are discussed which effect the returns of equity shares and their reference is also explained with the stock markets of Australia. The mergers and acquisitions are done for benefitting the business and stakeholders of both the bidder company and the target company. It is seen that shorter the negotiation process, better and more successful will be the deal. The discussions are done about corporate control and connections of directors with reference to the mergers and acquisitions. Ahern, K. R. (2012). Bargaining power and industry dependence in mergers. Journal of Financial Economics. BENA, J. & LI, K. 2014, "Corporate Innovations and Mergers and Acquisitions", The Journal of Finance, vol. 69, no. 5, pp. 1923-1960. Biller, K. 2016, "Mergers and Acquisitions", Focus on Powder Coatings, vol. 2016, no. 5, pp. 1-2.
Cooper, C.L. 2015, Advances in Mergers and Acquisitions, Emerald Group Publishing Limited. Gharghori, P., Lee, R. & Veeraraghavan, M. 2009, "Anomalies and stock returns: Australian evidence", Accounting and Finance, vol. 49, no. 3, pp. 555-576. Koh, A. & Crawford, L. 2012, "Portfolio Management: The Australian Experience", Project Management Journal, vol. 43, no. 6, pp. 33-42. Li, X. (2013). Productivity, restructuring, and the gains from takeovers. Journal of Financial economics . Perrault, E. 2013, Mergers and Acquisitions: Practices, Performance and Perspectives,Nova Science Publishers, Inc.
Renneboog, L., & Zhao, Y. (2014). Director networks and takeovers. Journal of Corporate Finance . Schmidt, B. (2015). Cost and benefits of friendly boards during mergers and acquisitions. Journal of Financial economics . Waszczuk, A. 2013, "A risk-based explanation of return patterns -- Evidence from the Polish stock market", Emerging Markets Review, vol. 15, pp. 186.